For more than forty years, the Creative Growth Art Center in Oakland, California, has been giving disabled adults the opportunity to make art. As the world's oldest and largest center of its kind, Creative Growth's history mirrors the evolution of a growing disability rights movement and an increased interest in self-taught art. 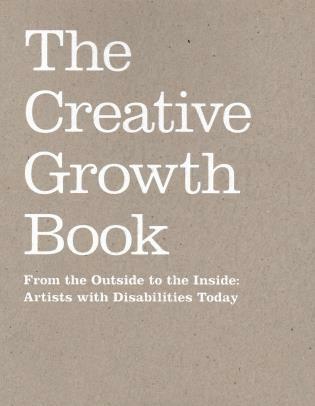 This book provides an expansive visual overview of the organization's projects and artists, and contains new essays from international contributors including musician/artist David Byrne and Creative Growth Director Tom di Maria. From its humble beginnings in its founder's home, to its current international design, museum, and fashion partnerships, the book is a visual history of Creative Growth's most noted projects and artists, including Dan Miller, William Scott, and Judith Scott. Published with the support of The Andy Warhol Foundation for the Visual Arts, this publication provides critical information about how the art of people with developmental disabilities is being increasingly recognized as an important part of the contemporary art world. Tom di Maria is the Director of Creative Growth Art Center and speaks around the world on outsider art and the relationship between artists with disabilities and contemporary art. David Byrne is a noted musician, artist, and writer with a longtime interest in outsider art. Claire Daigle is the Chair of the Graduate Studies program at the San Francisco Art Institute and a scholar and writer on the work of Cy Twombly. Lucienne Peiry is the former Director of the Collection of Art Brut, Lausanne, Switzerland. Matt Haber is a New York Times writer.